As someone who was in attendance at Elwood Shule, 2nd day Yontov (Shavuos Yizkor), I can assure you the the shule was not “morgue-like” as regretfully described by your sister. 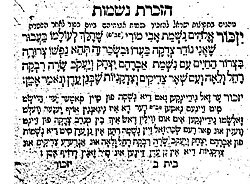 In fact I sensed a tangible Oyneg Yontov and a Simchas HaMokom especially during R. Avigdor Arons reading of Megilas Rus. While it is true that the ageing Kehila at Elwood is down on numbers the Sheyres HaPleyte is sufficient to hold up the four walls. Ultimately all a shule needs is a Minyan! Irrespective of your orthotist’s diagnoses you should have endured the trek to Elwood Shule that needs as many mispalelim as it can get, not Yeshivah which is at surplus. As a Kohen, your absence was duly noted by many, that duchen is not as crowded as it used to be. Indeed R. Mottel Gutnick spoke eloquently and reminded us that the Neshomohs of the Kedoshim enter the Shule itself on Yizkor. Based on this belief, Elwood Shule would have had the highest attendance rate in Melbourne. These Neshomohs, more alive than many of us in Olam HaZeh. There was no “cavernous emptiness”, the shule was filled with the Neshomohs of martyrs. While there may not have been the audible weeping of R. Chaim Gutnicks day, the atmosphere was emotionally charged and one could feel the ruach of Chag HaKatzir in the hallowed sanctum of Elwood Shule. We learn from the Talmid Muvhok of the Arizal, R. Chaim Vital that neshomohs leave a reshimah in the Beis HaKnesses where their tefillohs once emanted from. I believe this museg is also held by the Esh Kodesh, R. Kalonymus Shapiro the Piaseczno Rebbe who elaborates further that neshomohs are present on the 4 times mazkir is set down for each luach. Perhaps the Piaseczno is stating the significance for a Yid to have a mokem tefillah. On Yizkor that reshimah is drawn forth and is surely present in the shule in the same way that a reshimah remains by a kever or matzevah. Right now we are in the Tekufah of small kehillas in Melbourne, the multitudes will return as mysteriously as they have vanished over the last decade. By the way, does one have to wear a Kapotel to be considered one of the Baalei Batim? The Lubavitcher Rebbe did wear a kapota before he became Rebbe just not during the week. He took it off after his wedding at the Seuda … During the week many Chassidim don’t … It’s an interesting observation neither his father nor his father in law did that. It’s not a critique. Just an observation of his unique style! The Vilna Gaon never went to a Beis Almin either, probably for different reasons than R. Chaim Vital. I would be interested in hearing your theory on why Kapotes are not as visible as they use to be down on Hotham Street, is it due to the absence of R. Yitzchok Dovid? The levush doesnt mean anything anymore, there are Yidden wearing the biggest shiniest Tuzlik who don’t know what Atzmus is. Keep in mind too Reb Zushia of Annopoly whose own levush consisted of rags, and he was surely many sephiros above a Talmid Chochem! The 7th Lubavicher donned the Kapote but spurned his shvers Spodik, now that was quite a trade off when it comes to levush. Enjoy the Queens Birthday long weekend. .i don’t know what atzmus is. Metaphysics hasn’t caught on with me. He didn’t spurn the Spodik. His mother in law refused to give it to him and he was too much of a gentleman to aggravate by buying his own. from whom or from where do you get your information? I read what you wrote there very quickly and I’m not sure where you saw the reason for SECOND day Yom Tov or did I miss it. I heard the reason from a few Rabonim (not Rabbis). Which part do you object to, the Tanchuma reference? “The Rabbis specifically instituted it to be (outside of Israel) on the second day of Yom Tov. Why not the first day of Yom Tov? Clearly it was felt that by setting it the second day, this would encourage those who were vacillating about whether to attend the service on the second day to do so”. if you heard the reason from a few Rabonim, it shows the level of knowledge of the local Rabonim, and it may explain why they don’t prepare their Drashot. “Jews of Sephardi origin never had the custom to say Yizkor, except on Yom Kippur. 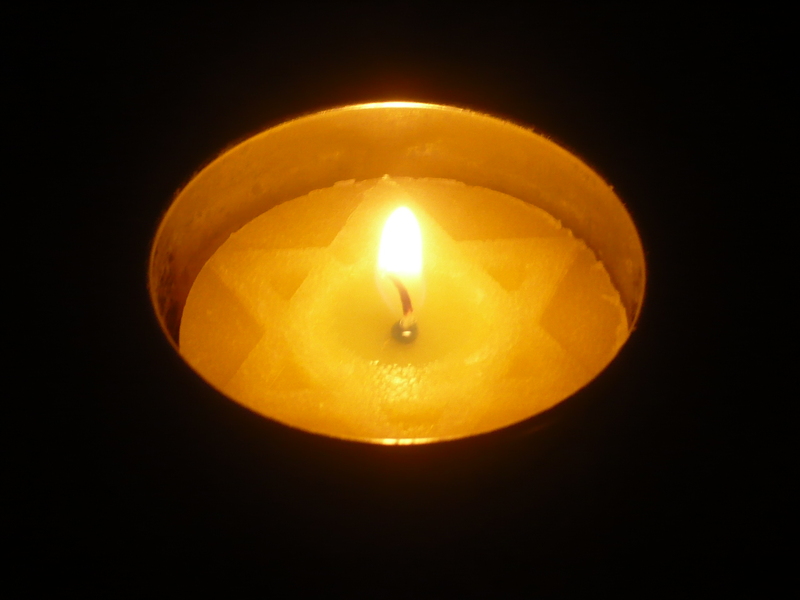 They were less influenced by their neighbours and I surmise their Rabbis didn’t need to insert Yizkor in order to cajole them to come to a Jewish service. They came anyway”. “There has always been a disagreement as to whether someone whose parents are alive leaves the Shule during Yizkor”. Yizkor was there for over 600 years, the custom that someone whose parents are alive leaves the Shule during Yizkor is not that old. the Tzdaka they did give special on Yom Kippur Davka, has nothing to do with the Izkor/with the dead. the sfaradim say haskava at any time of the year, and not only before a yohrtzeit. Next Next post: How much time do Rabbis put into their Drashos?